Scanning and Indexing is one of the world’s leading offshore data entry and scanning & indexing service provider. We offer a complete information management system, from document scanning to storage. 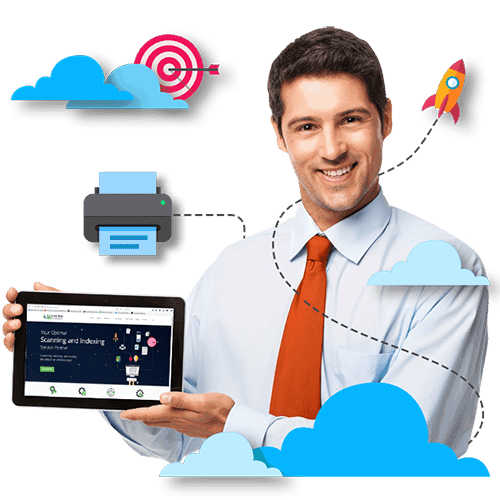 We have 5+ years of experience in handling the data entry, scanning, and indexing services of various sectors and we have earned a good amount of trusted clients with our extremely commendable output. We focus on customer service and believe in creating a long lasting relationship with our clients. We have established ourselves as a distinguished supplier of scanning and indexing services along with data capturing, optical character recognition, data conversion, bulk data handling and, optical mark reading services to all our esteemed clients. We are well-known in the industry for offering dependable and affordable solutions by utilizing the available technical and business skills. Since commencement, we have successfully completed more than hundreds of projects and have made it a point to deliver them on time. Due to excellent quality of services, we have gained the trust of hundreds of clients, belonging to various sectors. With the increase in number of clients, we also saw a tremendous improvement and increase in the profit earned annually. The appreciation from our clients is the best recognition that we earn every day. We strive hard to meet up their expectations. We are aiming to be the leading offshore service providing company, offering assistance with the storage, indexing, security, and optimization of the informational assets. We are striving to achieve our vision via winning the confidence of our esteemed client, by delivering cost-effective and extraordinary scanning and indexing services. We offer strong infrastructure in terms of well-qualified human resources and state-of-the-art technology. We also focus on minimizing the overheads and increasing the productivity.